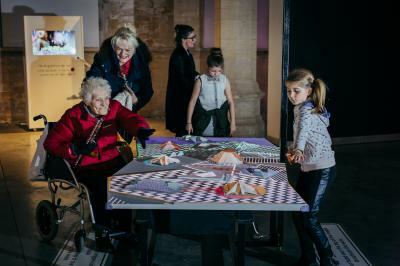 The AniMotion exhibition is the second of two major touring exhibitions developed by 20-21 Visual Arts Centre in partnership with darts, Doncaster and The Civic, Barnsley as part of the ShowStoppers project, supported by Arts Council England’s Strategic Touring Scheme. 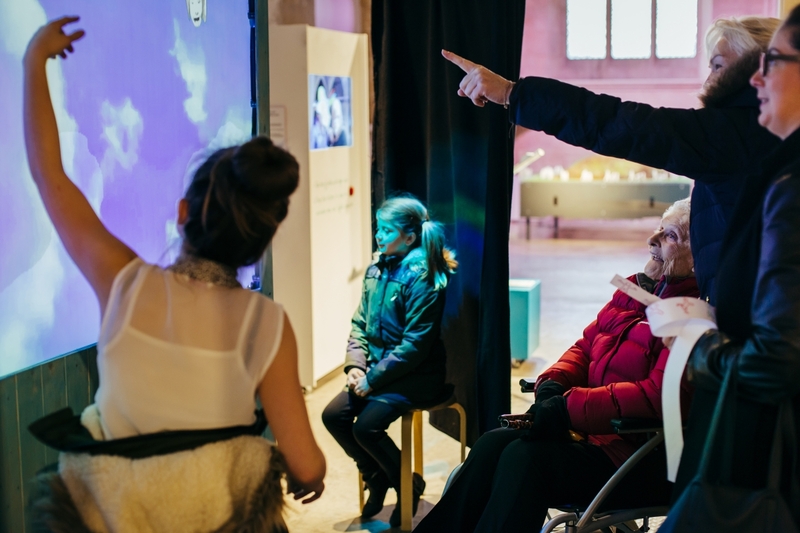 Impossible Arts have created Wing/Face – an installation utilising a Kinnect 3D camera and face recognition technology which enables visitors to watch as their face becomes a winged creature that flaps and squawks as it flies around. 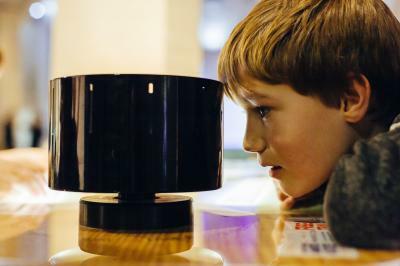 Mark Hewis’ giant, slow motion zoetrope uses time lapse photography to create an animated film in which visitors feature. 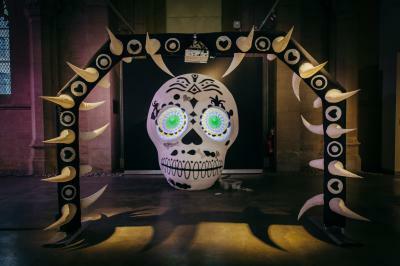 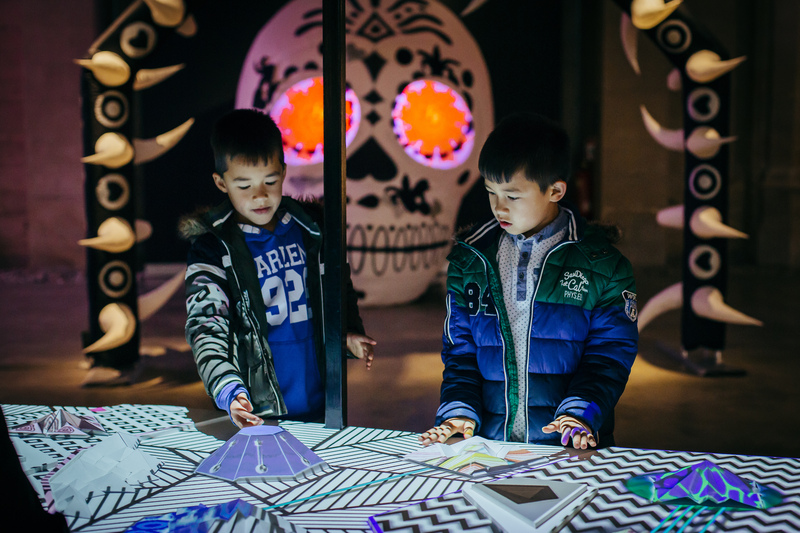 Space Cadets have created a huge inflatable ‘Day of the Dead’ skull which is decorated with ever-changing animated projections. 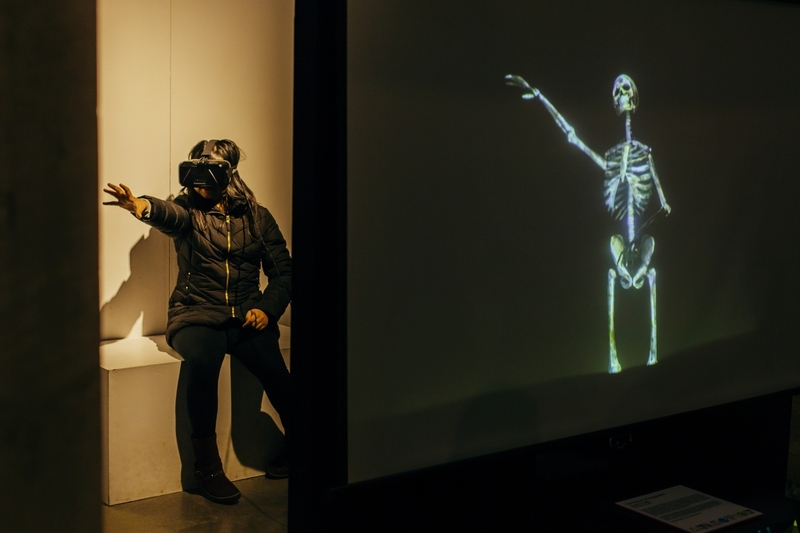 David Urwin has used an Oculus Rift headset to enable visitors to enter an imaginary animated world. 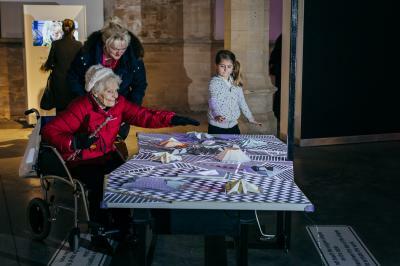 Using stop motion animation and projection mapping, Michele Panegrossi and Aye Aye have created a hidden city which is revealed when visitors move their hands over an origami landscape. 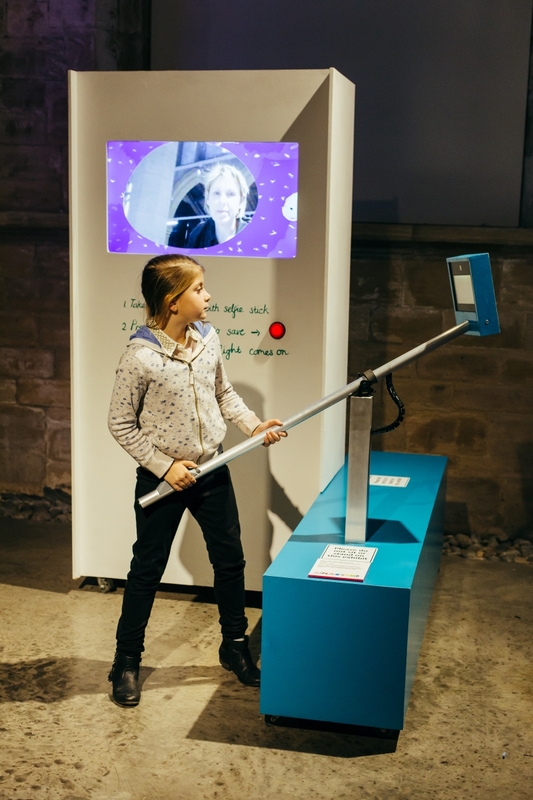 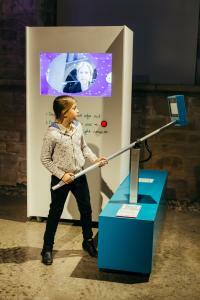 The collaborative team of BAT Studios, The Workers and Eleanor Meredith have worked together to create Where Will the Selfies Take Us – an installation in which visitors can interact with the animations on screen and contribute to the film, if they wish. 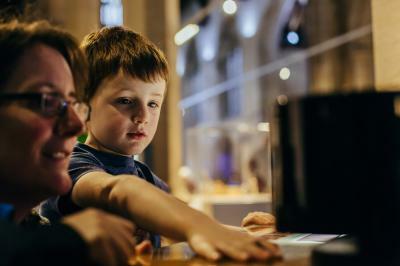 For this exhibition we have also worked with Academy Award winning animation company, Aardman, who have provided two “Animation Stations,” which enable visitors to have a go at producing their own short animation, as well as making a reel for a zoetrope. 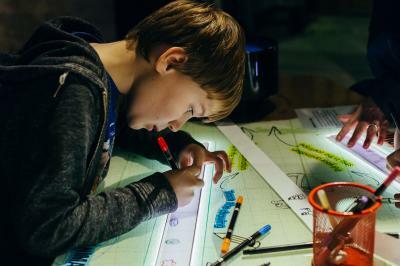 They have also provided an animation set which features Morph – the animated clay character who made his TV debut in 1977 on the children’s programme, Take Hart, and has just returned to CBBC with a brand new series of mini adventures. 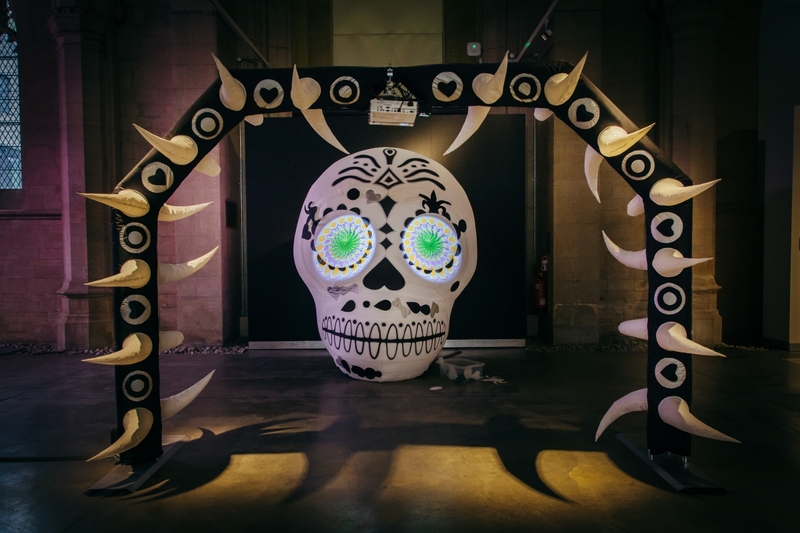 The hire fee for this exhibition is £2500 and includes one way transportation and installation. 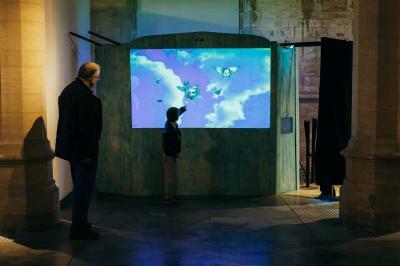 If you are interested in booking the AniMotion exhibition for your gallery or museum, please contact our Touring Exhibitions officer, Janine Parrish, on janine.parrish@northlincs.gov.uk or call 01724 297076. The AniMotion exhibition was created as part of the ShowStoppers project. 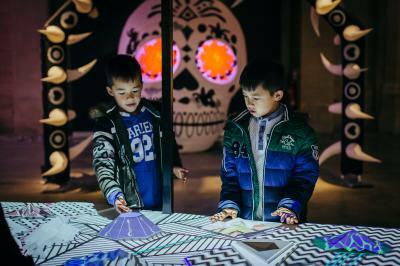 This group of galleries work together to create brilliant exhibitions and creative opportunities for children and young people. 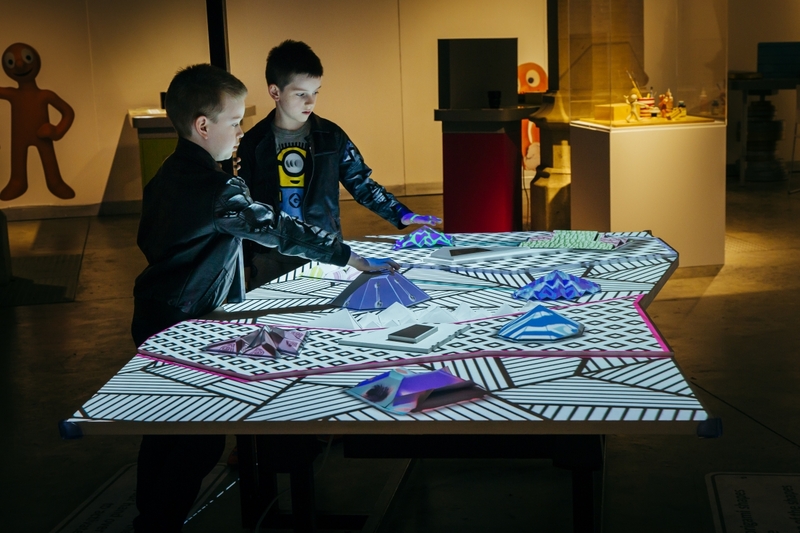 The ShowStoppers exhibitions will tour around the country, sparking imaginations and bringing fun to galleries and museums.